… sounds like a bad magic trick at a family dinner doesn’t it, but it isn’t. 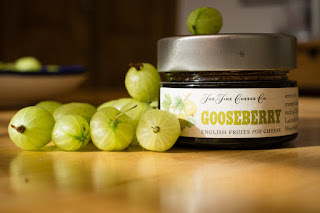 I was alarmed the other day to read an article in a national newspaper claiming that the British Gooseberry is “in danger of disappearing totally”. Demand for this lovely fruit is at an all-time low and many growers have stopped growing them altogether in favour of strawberries, raspberries, and blueberries, i.e. crops that they can actually sell for a profit. The gooseberry grows pretty much all over the world except in the US state of Maine where it is illegal to grow them as they are deemed to be the wrong shade of green. It was one of the first fruits commercially cultivated in the UK, as far back as the 1600’s and soon there were more than 2,000 different varieties grown. 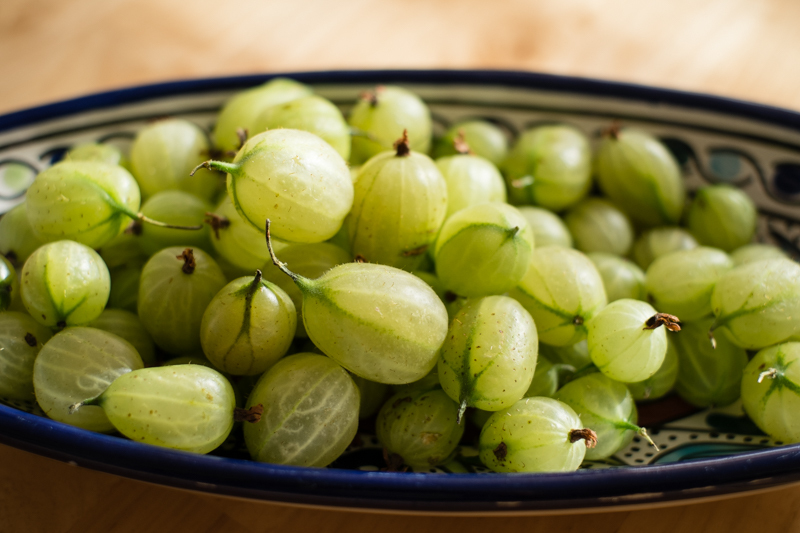 So what has led to the decline of the gooseberry’s popularity in Britain? According to one of the few remaining growers the problem of modern times is really that gooseberries have a very short season of about a month and supermarkets are reluctant to take them because of this – they want fruits with much longer seasons and shelf life … enter strawberries, raspberries and blueberries again. To be fair supermarket dictation isn't the only reason for the decline though; another reason is that in the main they tend to only be viewed as a desert fruit to be cooked and sweetened to make gooseberry tart, gooseberry fool etc. But they are so much more versatile – they can be used to flavour all sorts of things like sodas, preserved in jams and jellies to match with cheese and to make delicious sauces to accompany fish and white meats. To prove it - here’s a take on a famous French recipe for mackerel and gooseberries. The gooseberry sauce goes perfectly with mackerel as the tartness and acidity cuts through the oiliness of the fish. 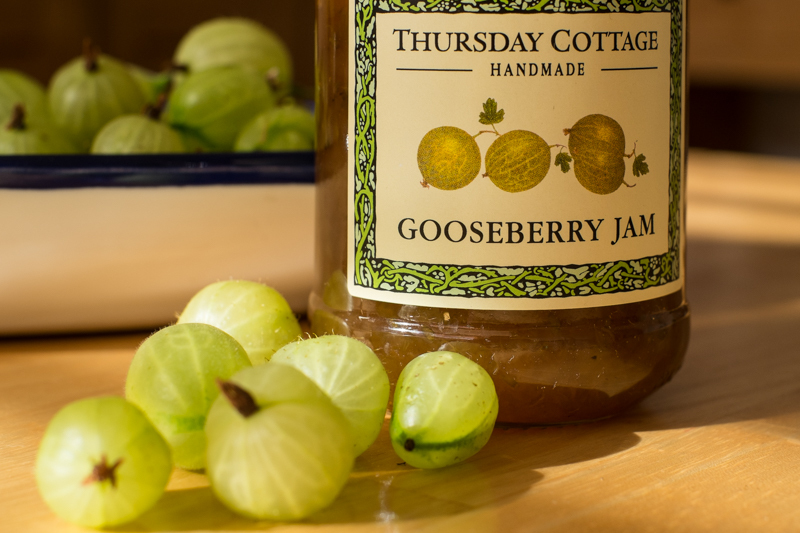 Gooseberries also appear in popular culture down through time as well. If you are “playing the gooseberry” you are the third wheel in a trio with a romantic couple. This potentially came from “gooseberry picker” as a term for a chaperone who busied themselves looking the other way. Gooseberry was believe it or not a euphemism for the Devil, and if you were a bit dunderheaded you probably got called a gooseberry as well. Oh yeah … the real reason it’s illegal to grow gooseberries in Maine is that the gooseberry plant plays host to white pine blister rust that can, not surprisingly, cause havoc with American White Pines. Whew....I'm so glad you answered that Maine question. The whole time I was reading I was wondering what on earth the story was with Maine's ban on the berry. I am not sure I even knew there was such a thing as a gooseberry. So Ted - were you found under a gooseberry bush! We had gooseberry's at home when I was a kid. Haven't eaten one for a few decades. I don't think I've heard of gooseberries before.